I know no army is ever really complete, but my 15mm Sassanid Persians are now effectively so. I have all the cataphracts, heavy cavalry and light cavalry allowed, and now have two deep units of Sassanid foot as well. These have been sitting on the painting table for far too long and were effectively blocking me from getting anything done: whilst they were there, I didn’t want to start anything new; and yet the thought of painting them just caused my mojo to flee! 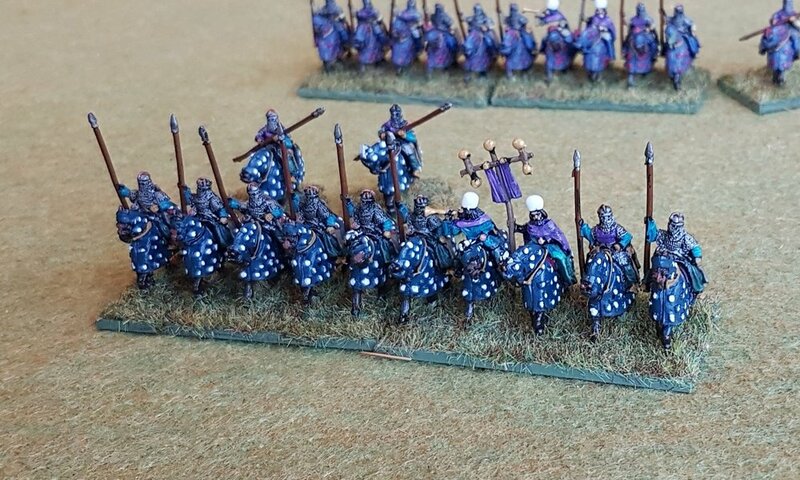 A previous post has covered the elephants that I’ve added to my Sassanid Persian force. As I had a few spare infantrymen left over from those put aside for a Levy Foot unit, I thought I’d use them to represent the optional light infantry elephant escorts that significantly improve the battlefield effectiveness of the pachyderms. A simple paint job that nevertheless looks quite good. Three shades of blue, red and flesh. Paint in the darkest colours; wash in GW Agrax Earthshade; highlight in the next lightest colour; finally, a tiny highlight in the lightest colour. With the game To The Strongest, each army really needs at least one, and usually three, camps. Obviously, one can cobble something together, but it’s nice to have some specific pieces for each force. Loving these. 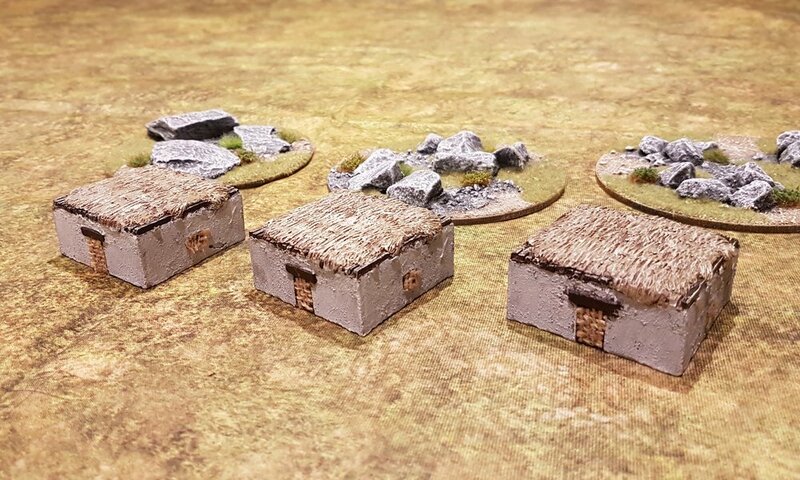 Easy to paint up: spray white; paint the roofs straw colour and the doors brown; wash with GW Agrax Earthshade; leave to properly dry and then highlight the thatch and doors; finally, take a stippling brush to the walls. They are perhaps a bit pricey at £24, but well worth it. Recommended. 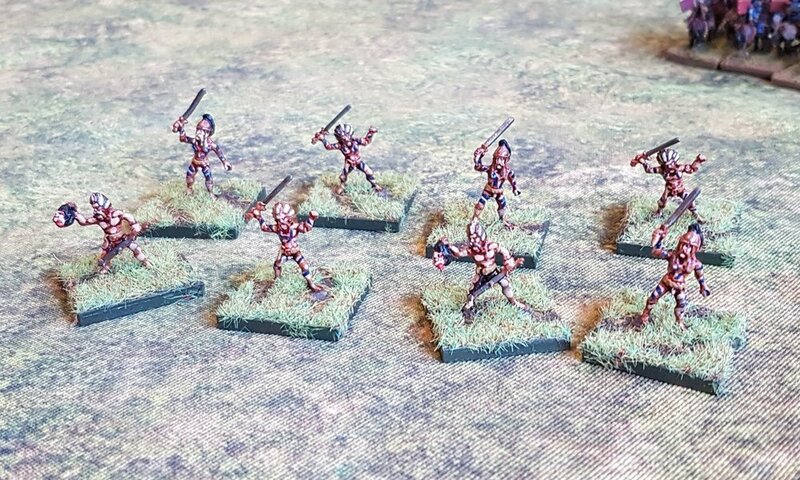 A bit more painting left over from last year: four bases, so one To The Strongest deep unit, of Ancient British foot in 15mm. The figures are Forged in Battle, excuse the shed! Quite like these. The shields are partly painted and partly using LitteBigMan transfers. What decided which to use? Well, I couldn’t be bothered to cut out the holes in the transfers for the double-boss shields, so only used the transfers for the simple single-boss shields. I did try to do one: but it was annoyingly difficult and time-consuming! Here’s the back view. The tartan and stripe patterns look better at wargaming distance than under the microscope. I now need another four units of these: the thought of painting which fills me with horror! The Hoplites are bad enough, but at least they are homogeneous: these all have to be painted individually. 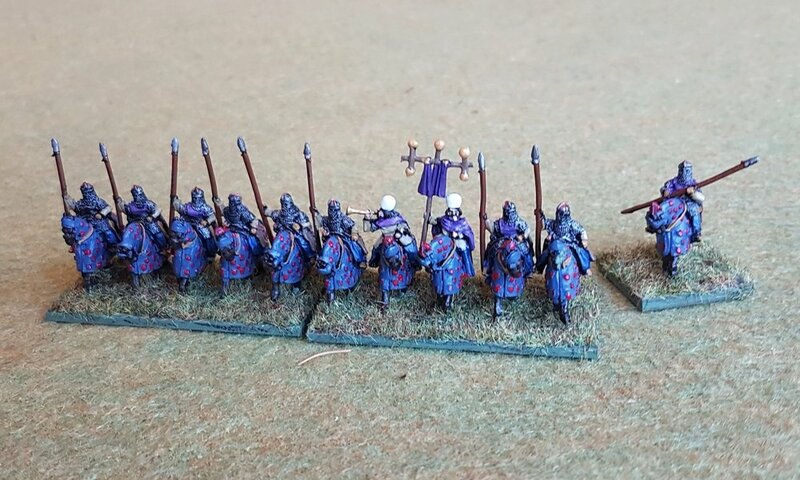 Anyone got a pile of well-painted Ancient Brits they don’t want any more? I always seem to get a lot of painting done over Christmas. I think it’s because there’s nothing else to do apart from eating and drinking heavily (check), watching tv (check), arguing with the family (check), snoozing (check)! Four Sassanid Persian elephant bases, so one full unit in To The Strongest, four units in Vis Bellica. With the below, my Sassanid army in 15mm for To The Strongest is now finally legitimate i.e. fulfils the minimums required by the army lists. So, here are two units of Heavy Cavalry - armoured men on unarmoured horses - plus a couple of heroes. Naturally I haven’t quite finished yet: a unit of elephants and another unit of levy foot are sitting on the painting table waiting for a bit of attention. 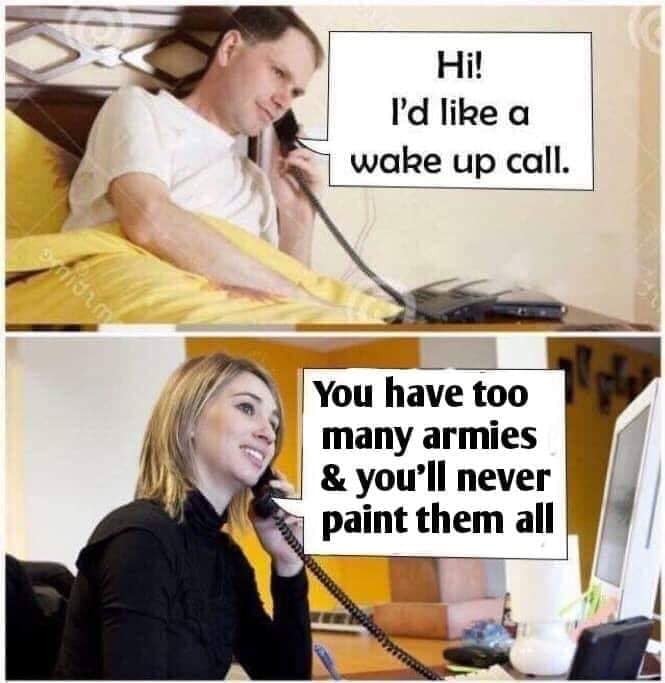 They’ll have to wait for the Ancient Brits to be finished first, and I’ve got that final unit of Hoplites to finish, and don’t even mention the Macedonians! 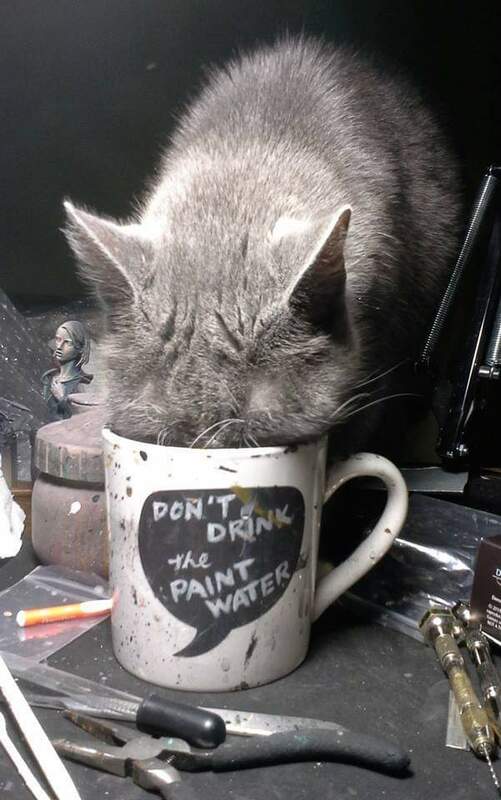 So much painting, so little time! Another ancients army that I need to bulk out for To The Strongest is my Sassanid Persians. Fortunately, I had plenty of cataphracts already painted, so all I need to add to bring the force up to regulation ratios is some of the heavy cavalry that supported the superheavies. That requires four heavy horse units, which I have decided to field as two units of what I would call Clibanarii (armoured men on felt-armoured covered horses) and two units of Heavy Cavalry (armoured men on unarmoured horses). They have exactly the same stats in TTS, but it’s nice to have the variety should I ever need it. Lovely 15mm figures from Forged in Battle’s Empires range. Highly recommended. The grey Clibanarii at the back have come out beautifully, but the turquoise lot at the front haven’t quite worked the way I wanted. I think the contrast between the white and turquoise is just too great to look good at this scale. 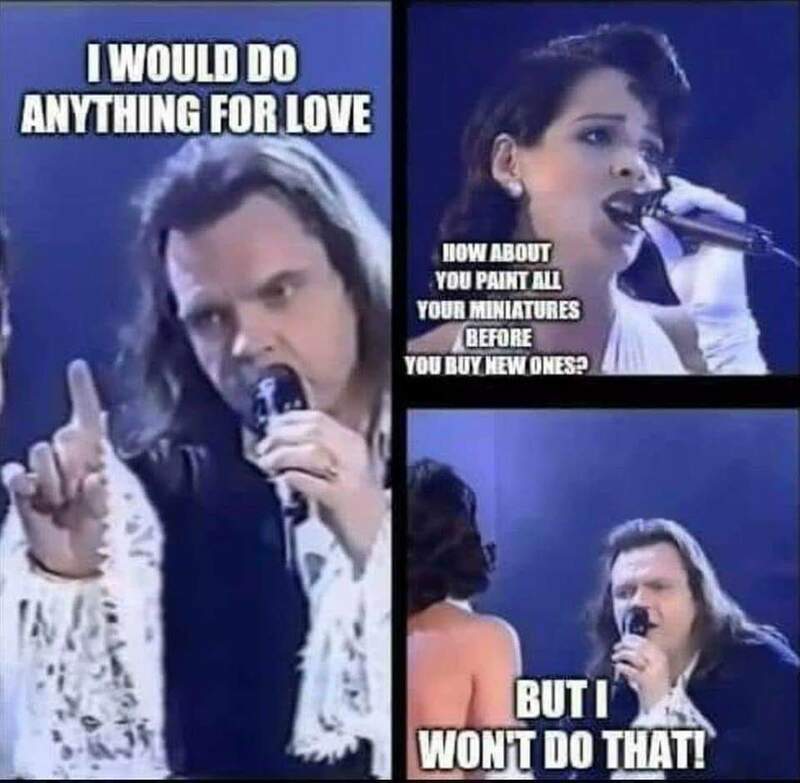 No matter: I’ll know better for next time! Updating all my Vis Bellica-based armies for To The Strongest means doubling the size of all my forces, or at least it does the way that I’m doing it. Vis Bellica has element bases that are (for 15mm figures) 6cm wide, so when I switched systems, it seemed obvious to use two VB elements to represent one TTS unit using the recommended 15cm TTS grid. That also means that I can show disorder in TTS merely by moving the two elements apart at an angle i.e. 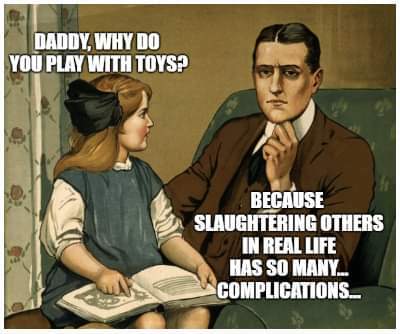 no need for additional markers. That’s fine for standard units, but we’ve already seen how TTS deep units (such as Hoplites, Pikes, some Warriors) need four VB bases per TTS unit…and the same is unfortunately true for light chariots as well. In VB, they are based on a 3cm frontage: so four VB light chariot units are needed to make one TTS light chariot unit. That was fine for the Egyptians, as I already had loads of light chariots in a double-size VB army. It is not so fine, however, for my Ancient British. 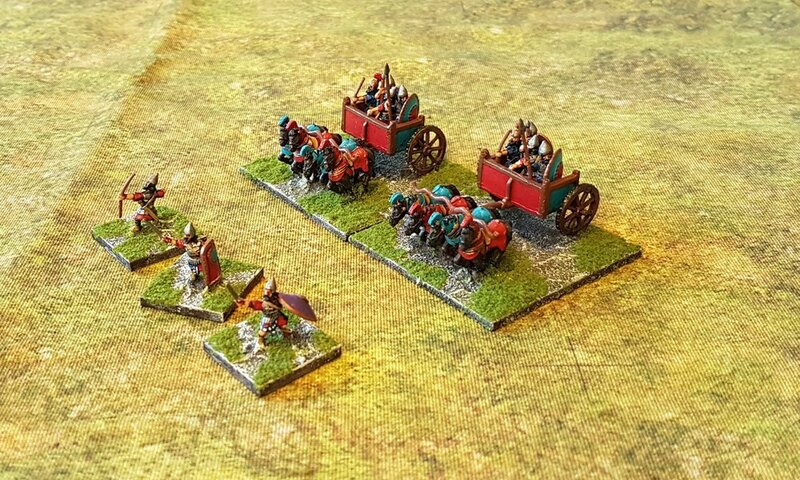 The VB version has six light chariot bases - just about the right number - but that only makes 1½ TTS light chariot bases. 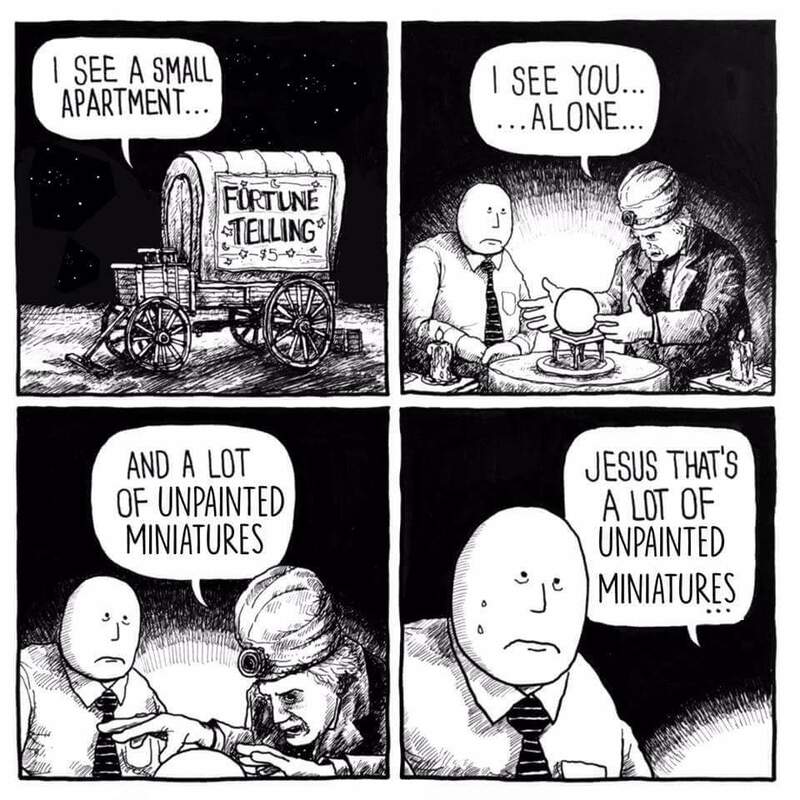 Time to paint lots of chariots! Reading the TTS army lists, however, the Ancient British have light chariots up to AD211 and light cavalry after that, so the author recommends mixing light cavalry and light chariots in a TTS Ancient British light unit that can count as both. Good idea: time, then, to paint loads of light cavalry rather than light chariots! 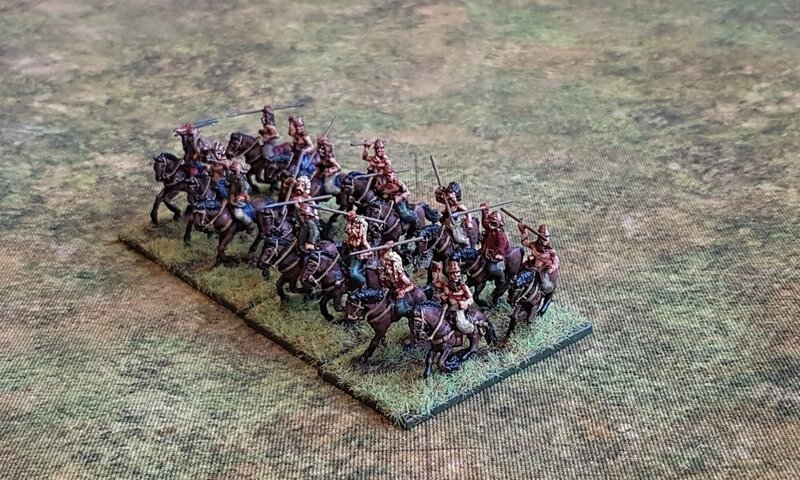 Xyston have some very nice Ancient British Unarmoured Cavalry, so that’s what I went for: painting up six four-horse bases’ worth and, controversially, mounting them to match the chariots rather than the more normal four-across-6cm for light cavalry. So all I need now is another two chariots and another eight cavalry to hit the minimum number of light chariot units required. I need to take a break from painting Hoplites, so thought I’d also start bringing my Ancient Britons up to scratch. I’ve had Ancient Brits for as long as I have been wargaming: starting with an army for WRG 6th mostly made up with Airfix plastics but with a smattering of metal command figures; and then another, 15mm, force for Vis Bellica, which I had painted for me for the Society of Ancients “Battle of the Sambre” Day, for which we won best game of the day. 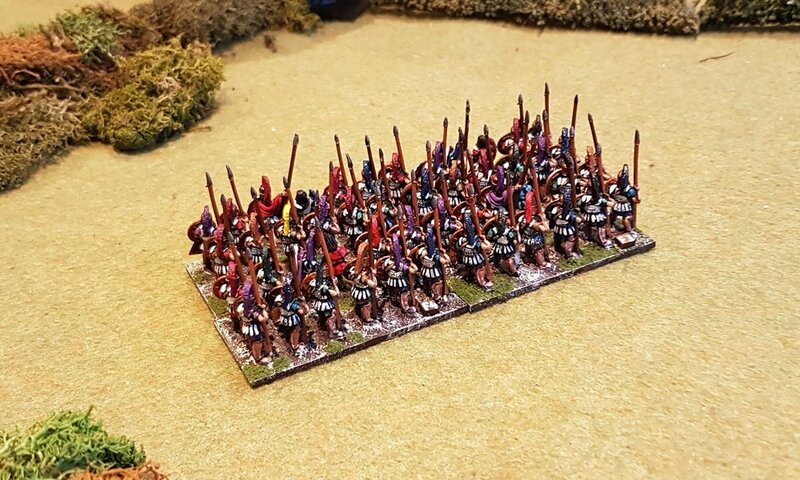 It’s only meet and right, therefore, that I adapt the 15mm troops for To The Strongest: which means painting chariots, light cavalry and warriors. And heroes, which is what I’ve started with. This is a pack of Gaeseti Nobles from Xyston. Nice crisp, animated figures that paint up well. Which is lucky, as I’ve got a load of light cavalry to paint as well. I’m continuing to build up my Hoplite Greek force for To The Strongest. My target is six units of Hoplites, with each unit being 48 figures strong. That’s 288 Hoplites in all! I started with 96 Hoplites, added another 48 two weeks ago, and am now adding another 48 making 192 in all. So 96, or two more units to go. This time, I chose to use Hoplites from Forged in Battle’s 15mm range. They come with shields and spears attached, and although the spears don’t look quite as good as the wire spears used with the Xyston lot, it did save an awful lot of time to have them ready-fitted. So how do these compare with Xyston? There’s less variety of pose in the FiB pack, but that’s not necessarily a bad thing as Hoplites are supposed to be in formation , so even-Stevens on that one. As mentioned, the spears and shields are integral, so don’t look as good, but save an awful lot of work, so even-Stevens on that one too. Details is comparable, although the hoplons themselves (the shields, darling, the shields) are a little small. So, all-in-all, Xyston edge FiB in terms of quality of sculpt and final look, but the ease of integral spears and shields, and the fact that FiB are slightly easier to paint, more than makes up for it. 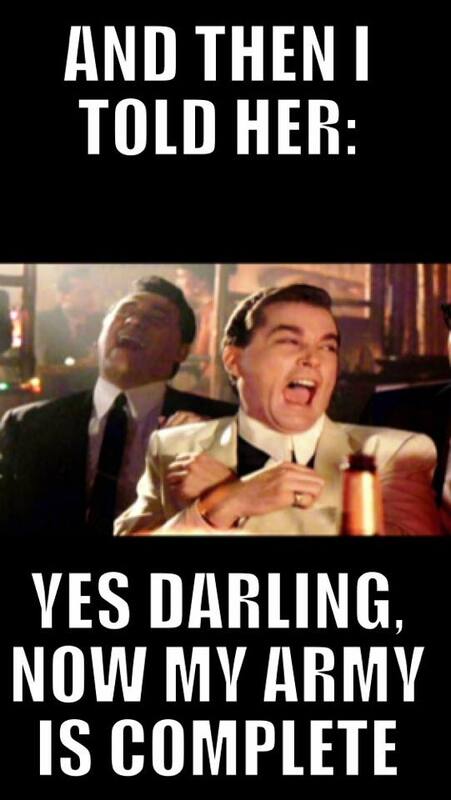 I shall use both evenly from now on. Right: time to start on the next 48 of the little blighters! Now that the camps are sorted out, time to get a bit of scenery to dress the table and provide me with more of the sort of “traffic jam” problems that I encountered in my first game of To The Strongest. I’ve got some desert style bits, but need to prepare for when my Hoplites eventually take the field. They are based in a sort of rocky outcrop style, so I need some sort of rocky outcrops to match. A quick wander round Warfare and I came across The Scene. They had four rocky outcrop style bases about 120mm in diameter which I purchased immediately. 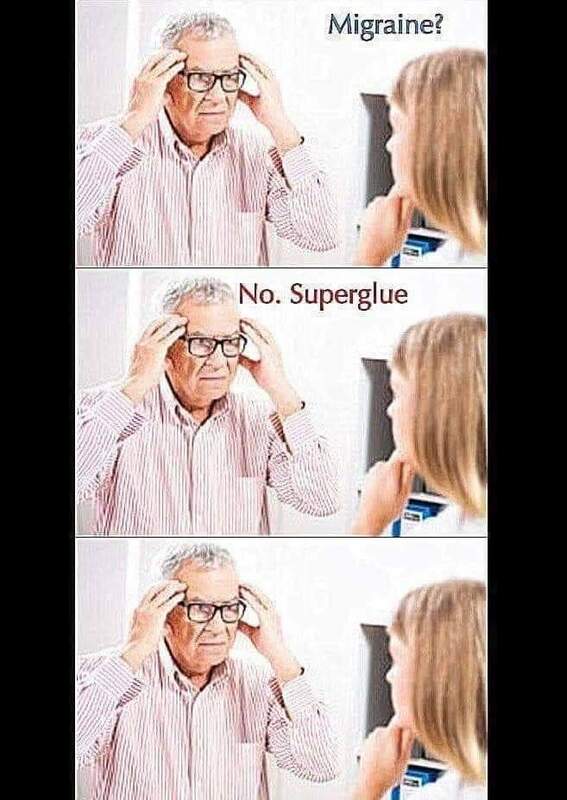 Sorted! As you can see, each fits neatly in one of the boxes on my mat. 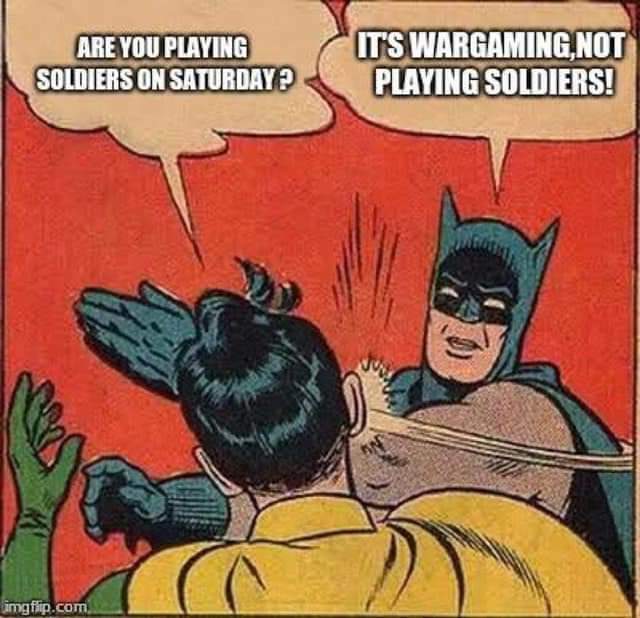 In addition to the extra figures I need for To The Strongest, my current war game of choice, I also need some camps: about six i.e. three a side. They need to be big enough to take a guardian unit (so at least 120mm wide) and deep enough to carry a bit of “dressing”. I’m not sure where the bases came from, but the pyramids, huts and Sphinx all came from The Square, an excellent place to find all sorts of useful bits of resin. I always make my way there at the end of the day and spend whatever I have left in my pockets! 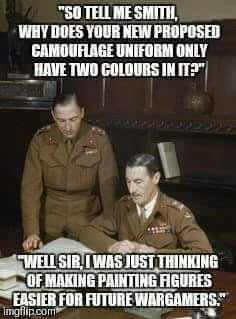 They paint up easily as well. The huts are undercoated in light brown, then very heavily dry-brushed white with the roofs dry-brushed in a variety of yellowy-brown colours. What makes the difference is that I have filled in the doorways and windows with a bit of woven hemp: giving a bit of depth and texture. The Sphink and pyramids are simply painted sand yellow, washed with GW Agrax Earthshade, and then dry-brushed with GW Screaming Skull. Whole lot took me about half an hour. As mentioned before, converting my Vis Bellica Ancients armies for To The Strongest means making them bigger, especially where chariots and deep units are concerned. My Assyrians were already a large VB army, so didn’t need a huge amount of augmenting to bring them up to TTS strength. I’ve already posted about the chariots, now here is the extra cavalry I need: a VB unit of Guard cavalry and a unit of Regular cavalry, allowing me (with what I have already) to field three TTS cavalry units, one Guard and two Regular. That’s the Assyrians finished, now on to either the Egyptians (need more chariots!) or the Hoplite Greeks (need more Hoplites for those TTS deep units). As mentioned in a previous post, using my 15mm Ancients armies originally designed for Vis Bellica for To The Strongest has proved easy: two VB bases (or four for deep units) neatly equals one TTS unit, and allows for disorder to be easily shown. The only problem is that that means that each of my existing armies is now half the size that it was before (or a quarter for those with deep units e.g. hoplites, pikes and some warbands). Fortunately, I always went big for my VB armies, but there is definitely a need for some topping up to take place. This is a good thing, as I haven’t painted any Ancients for ages, and a change is as good as a rest, as they say! Here, then, is the first of the topping up: two heavy chariots (i.e. one unit) and three foot figures to represent heroes. All Essex, apart from a couple of the chariot crews, which are Museum.